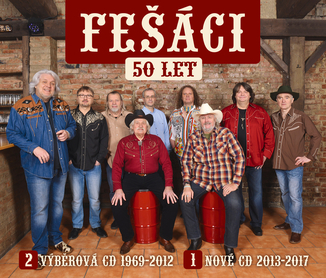 The band „Fesaci“ was established in the early 60th of the last century and very soon became the best of „bluegrass“ music scene in former Czechoslovakia. 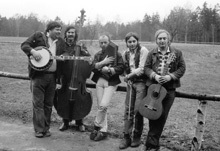 Then the band started to play also different kinds of country music That happened to be the reason of the big popularity not only in the Czechoslovakia or Czech Republic, but in the other countries in Eastern Europe too. It wasn´t easy to travel abroad in this communistic era . 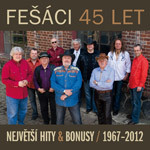 Fesaci band was allowed to play in USA in the year 1980 and was very successfull there. There were new invitations for more concerts in USA, but they wasn´t allowed to leave the home country. In that very time they performed songs of Bob Dylan, Kris Kristofferson or John Denver, sung in English. 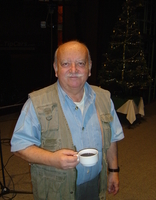 But because of the fact that people here mostly did not understand English , Fesaci had to translate those lyrics into the Czech language with keeping the original meaning as much as possible. The band visited only some socialists countries in Europe, like Poland, Bulgaria and DDR. Later, after the „velvet“ revolution in 1989, when the world became open for everybody, the band „Fesaci“ performed in Austria, Australia, Greece – Crete, Switzerland, Sweden and Norway – and with a big success, too. The musicians grew older, but the enthusiasm and pleasure of playing and singing of country music stay up to these days. 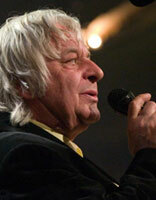 New young musicians have come to strenghten the band, but keepin´ the same typical sound of music like before. The band worked hard in many recording studios during the passed years. There were recorded many songs for many records, for example were issued 4 SPs, one set of singles (Christmas with Fesaci), 4 LPs, 14 album CDs, 3 DVD and 4 video casettes. In Fesaci band rotated about 65 musicians and sound technicians, but the band lives very well and plays music in its best tradition. 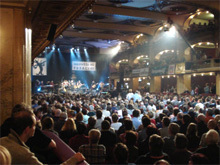 The most impressive performances happened on the stage in 1992 when FESACI celebrated the 25-th anniversary of the group and performed with Mrs Emmyllou Harris together at the big SPORT HALL in Prague, then with "NEDVEDI BROTHERS" in the world biggest stadium Strahov in1996 , with Rosanne Cash in 2006 at the well-known hall LUCERNA and on the same place in 2004 and 2007 celebrating there the 35-th and 40-th anniversaries of the group. People say : " These concerts can never be forgotten ! " The 30-th anniversary of the group was celebrated with our fans together during the TOUR - AUSTRALIA. Our fans there included mostly Czech-immigrants who had to leave their homes because of the communistic terror in Czechoslovakia that time. The group intends to play as long as possible to make smile on the faces of the people anywhere.